From the vibrant colors of nature and local artistic creations, to the sounds of wildlife, roaming musicians, and multilingual conversations, Puerto Vallarta on Mexico’s Pacific coast is teeming with life. 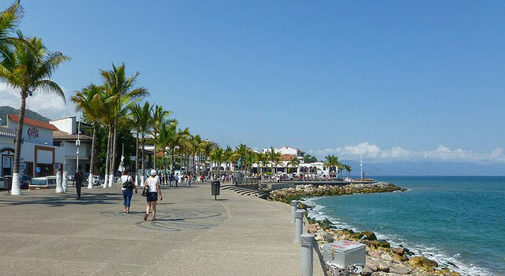 If you are already content or perhaps even happy, your mood will intensify with a walk along Banderas Bay on the city’s famous malecón (esplanade). If you are facing a life challenge or just not feeling 100%, immersing yourself in the landscape and culture is sure to lift your spirits. There are so many intriguing tours, activities, and places to go in Puerto Vallarta. But when considering my favorite things about my Mexican home, I find it is the everyday pleasures that make it an exceptional place to live. I love the fact that you can see donkeys and roosters just steps away from cabarets and fine eateries. It is wonderful having the culinary variety of food similar to what you may find in New York City…from street vendors to impeccable white tablecloth service. Whether you opt for a hot dog, taco, homemade pasta, seafood, or a succulent steak, your meal will likely not cost even half of what you would pay in any U.S metro area. At Sapori di Sicilia, I can have homemade pasta with a savory Bolognese sauce, all the fresh baked bread one could possibly want, an excellent glass of merlot and house made limoncello for dessert, all for about $18 or $19. The same meal at one of my favorite Italian restaurants back home would be at least $40. At Diablos Fusion Gourmet, just down the street from us, my husband, Judd, loves the steak they have there for about $13. He loves it even more on Wednesday when it’s half price. You would be lucky to get a steak of similar quality anywhere in Minneapolis for under $30. The street musicians and other performers can be very entertaining—I especially love the families with the little kids singing their hearts out. I appreciate the way the Mexican people not only tolerate my efforts to speak Spanish but even encourage it. Yet if you are looking to have a conversation in your native tongue, you will not have to look far, especially if you speak English or French. 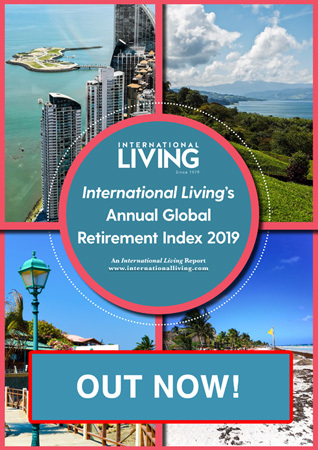 There are all kinds of expat organizations and clubs, but even if you spend some time in a coffee shop, bar, or just at the beach, you may soon find yourself in an interesting conversation before you know it. But my very favorite thing about living in Puerto Vallarta is the Pacific Ocean…or more specifically, the beautiful Bahía de Banderas (Banderas Bay). We live in a two-bedroom, two-bathroom apartment for $1,150 a month. An apartment in Minneapolis in a comparable area would easily cost $2,000 a month. We are in a very residential, art-oriented community. When you walk down the adjacent street, it is just a couple of minutes to the bay, so I try to get my daily fix. In the summer, a walk along the malecon right after rainfall in the early morning is incredibly peaceful, and the gray and brown hues of the water and the Sierra Madres mountain range is sometimes a welcome change from the usual brilliant colors. From seagulls to frigates, it is also a joy to watch the birds. My favorite birds are the large brown pelicans. They seem to synchronize their dramatic dives in search of their next meal. I have even seen the occasional whale in the distance or once an entire pod, traveling with a purpose along the bay. Perhaps moving to a new place teaches us that the most meaningful parts of life are those available to us on a daily basis. Over a decade ago, I first wiggled my toes in the soft white sands of Tulúm, Mexico...felt the warm sunshine on my face as gentle breezes rustled through the palms...and gazed at the gentle turquoise waters. Ever since, this Riviera has held a special place in my heart—so much so that these days I call it home for part of the year.